An important research project focusing on default superannuation has attracted funding from the Centre for International Finance and Regulation (CIFR). The grant has been awarded to a team led by Prof Stefan Trueck, co-director of the Centre for Financial Risk to investigate 'The MySuper Default Option: Assessing Portfolio Diversification, Suitability for Contributors and Performance of Superannuation Investment Strategies'. 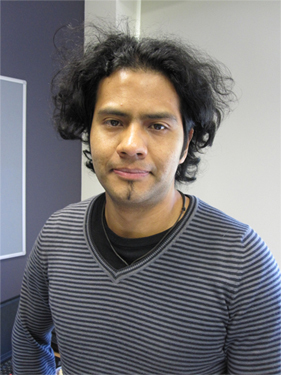 Post Doctoral Research Fellow, Yuri Salazar, will also be involved extensively in the work. A multi-strand conference examining superannuation and investment risk, including asset classes, fund compositions, business conditions and systemic risks. PhD Students enjoyed the camaraderie of the 2013 PhD AFAS|Econ Workshop, but also took away plenty of constructive criticism of their work-in-progress. 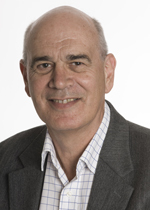 Keynote speaker, Professor Terry Walter, offered considered feedback and insights on how to sharpen their research approaches to ensure strong final theses. 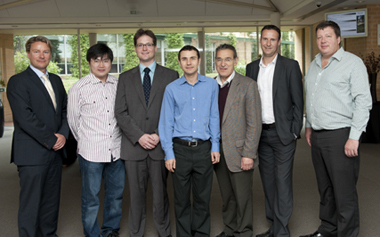 Leading researchers presented at the CIFR Symposium on the 8th August 2013 by Centre for Financial Risk co-directors Professor Jeffrey Sheen and Professor Stefan Trueck, with Dr Ben Wang and Dr Chi Truong. The Centre for Financial Risk presented the 3rd Macquarie Financial Risk Day - Financial Stability, Sovereign and Systemic Risk. Speaker videos and presentations and photos from the Financial Risk Day 2013 are now available for download! The highly successful workshop was held in Sydney in the lead up to Christmas. The Departments of Economics and Applied Finance and Actuarial Studies, in conjunction with the Centre for Financial Risk, at Macquarie University hosted The 6th Methods in International Finance Conference on 24-25 August. Professor Sanjiv Das is Professor of Finance at Santa Clara University's Leavey School of Business. Prof Das has previously held faculty appointments at Harvard Business School and UC Berkeley. He also holds post-graduate degrees in finance and computer science. Before becoming an academic, he worked in the derivatives business in the Asia-Pacific region and was a vice president for Citibank Asia. He is a senior editor of The Journal of Investment Management and co-editor of The Journal of Derivatives. Prof Das is also a speaker at Financial Risk Day on Friday 30 March. We develop a simple test for deviations from power law tails. Actually, from the tails of any distribution. We use this test - which is based on the asymptotic properties of the empirical distribution function - to answer the question whether great natural disasters, financial crashes or electricity price spikes should be classified as dragon kings or `only' as black swans. Risk patterns and correlated brain activities. Multidimensional statistical analysis of MRI data with application to risk patterns. Decision making usually involves uncertainty and risk. Understanding which parts of the human brain are activated during decisions under risk and which neural processes underly (risky) investment decisions are important goals in neuroeconomics. Here, we reanalyze functional magnetic resonance imaging (fMRI) data on 17 subjects which were exposed to an investment decision task from Mohr et al. (2010b). We obtain a time series of three-dimensional images of the blood-oxygen-level dependent (BOLD) fMRI signals. Our goal is to capture the dynamic behaviour of specific brain regions of all subjects in this high-dimensional time series data, by a flexible factor approach resulting in a low dimensional representation. We apply a panel version of the dynamic semiparametric factor model (DSFM) presented in Park et al. (2009) and identify task-related activations in space and dynamics in time. Further, we classify the risk attitudes of all subjects based on the estimated low- dimensional time series. Our classification analysis successfully confirms the estimated risk attitudes derived directly from subjects' decision behaviour. Implied volatility surfaces presentation using a smoothing filter based on fuzzy transformation. Abstract: We suggest a new alternative method for modelling implied volatility surfaces. The approach is based on discrete functions using the fuzzy transform introduced by Perfilieva (2006). We generalize a recently proposed smoothing filter based on the fuzzy transform to obtain better control on the smoothed functions. For this purpose, a generalization of the concept of fuzzy partition is suggested and the smoothing filter is defined as a combination of the direct discrete fuzzy transform and a slightly modified inverse continuous fuzzy transform. The approximation behaviour, total variation of smoothed functions and statistical properties including the description of the white noise reduction and the asymptotic expression of bias and variance are investigated and discussed. The proposed filter is compared with the Nadaraya-Watson estimator and the results are illustrated using financial data. Within the analysis provided in Holcapek and Tichy (2011), we have suggested a smoothing filter based only on one independent variable. However, many real world problems, including the presentation of option volatility surfaces, are multidimensional in nature. Hence we generalize the fuzzy smoothing filter into two/n dimensions and show its application within a common problem of financial engineering and asset pricing, including some possible extensions. 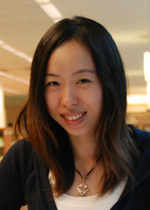 Speaker: Dr Guanghua Andy Lian, Lecturer in Applied Mathematics, Auckland University of Technology, New Zealand. In this seminar we present a closed-form, exact solution for the pricing of VIX futures in a stochastic volatility model with simultaneous jumps in both the asset price and volatility processes. The newly-derived formula is then used to show that the well-known convexity correction approximations can sometimes lead to large errors. Utilizing the newly-derived formula, we also conduct an empirical study, the results of which demonstrate that the Heston stochastic volatility model is a good candidate for the pricing of VIX futures. While incorporating jumps into the underlying price can further improve the pricing of VIX futures, adding jumps to the volatility process appears to contribute little improvement for pricing VIX futures. This is joint work with Song-Ping Zhu. This seminar considers the hedging of price risk if the payment date is uncertain, a problem that frequently occurs in practice. It derives and establishes the variance-minimizing hedging strategy, using forward contracts with different times to maturity. The resulting strategy fully hedges the expected price exposure for each possible payment date and is therefore easy to implement. An empirical study compares the performance of the variance-minimizing strategy with heuristic alternatives, using commodity prices and exchange rates. Our analysis shows that the variance-minimizing strategy clearly outperforms all the alternatives. Cointegration and stochastic correlations, including stochastic volatilities, are statistically significant for the spot prices of crude oil and gasoline. As these commodities are not traded on exchange, their futures prices provide us with strong empirical support that cointegration contributes significantly to the stochastic movements of their convenience yields in addition to their storage costs. We develop continuous-time dynamics of cointegrated assets with a stochastic covariance matrix to capture the effects of cointegration and stochastic correlations. Our proposed model allows us to super-calibrate the cointegration parameters by fitting to the observed term structure of futures prices. We demonstrate the model's use in valuing options on a single commodity and on multiple commodities using Fourier transform techniques. Top academic Professor Marco Pagano, University of Napoli Federico II, will present a week-long FIRN Masterclass for PhD students on Market Microstructure between Monday 28 September and Friday 2 October at Macquarie University. Almost 40 people attended the workshop at MGSM on 25 February presented by Professor Helmut Luetkepohl from Freie University of Berlin. 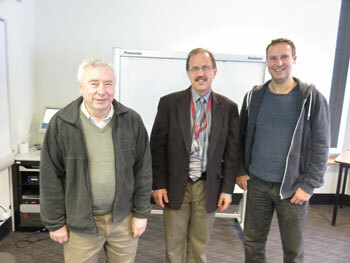 Prof Rudi Zagst, Technical University of Munich, presented a three-day course on Discrete Time Finance as part of a month-long visit to Macquarie University in March 2015. Macquarie University's Financial Risk Day 2015 mentioned in "Insurance News"
Professor Sébastien Laurent, IAE Aix en Provence, presented a vibrant and rigorous financial econometrics workshop onTuesday 16 December to almost 30 participants. Find out about what went on at the Financial Risk Day 2014, hosted on the 14th March. PhD Students enjoyed the camaraderie of the 2013 PhD AFAS|EconWorkshop, but also took away plenty of constructive criticism of their work-in-progress. Photos from the Financial Risk Day 2013 are now available to view. A research team including researchers from Macquarie University's Centre for Financial Risk has developed a new Excel based decision-support tool for investments into climate change adaptation. 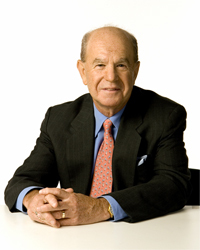 Professor Ed Altman is among the speakers whose presentations can now be viewed. Professor Edward Altman from the Stern School of Business, New York University visited the Centre for Financial Risk from 15 March – 15 April. CFR members have been awarded three important grants by the CIFR. Innovative ideas and fresh research were showcased at the AFAS-CFR PhD Workshop held on 30 October at Macquarie Graduate School of Management. Professor Wolfgang Härdle is the director of the Ladislaus von Bortkiewicz Chair of Statistics at the Department of Economics and Business Administration at Humboldt-University Berlin. Last Updated: 2015-02-06 14:40:53 by Peter Nolland.